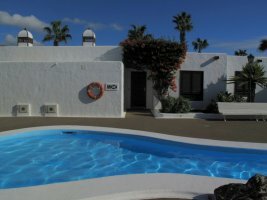 Lanzarote apartments - staying in a holiday apartment in Lanzarote makes for a very affordable holiday with self catering apartments and studio accommodation to suit all requirements from independent travellers exploring the island through to families here for their main summer or winter holiday or break. 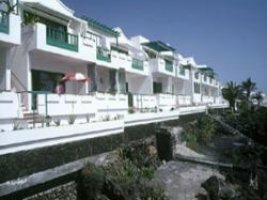 Most Lanzarote apartments are situated in the main resorts of Playa Blanca, Puerto del Carmen, Costa Teguise and Puerto Calero although there are plenty of smaller and more secluded holiday apartments in the lesser known resorts and off the beaten track if you prefer to be away from the hustle and bustle of the main resort centres. Apartments and studios may be stand alone or part of a larger complex and many will either share a communal swimming pool or have one of there own so be sure to check the listing or ask the owners if it is unclear. 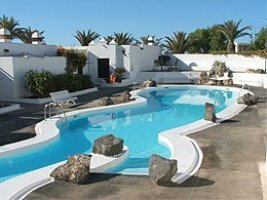 Search our selection of Lanzarote Villas if you would prefer to rent a property with a private swimming pool. 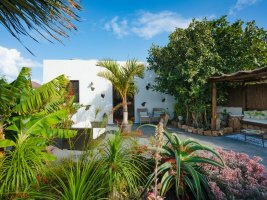 Further inland there is also a wonderful selection of rural apartments and studio where you can really get a taste of laid back Lanzarote atmosphere and enjoy the fantastic and diverse scenery that epitomises rural Lanzarote. 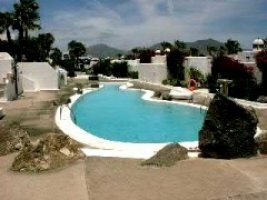 Apartment holidays in Lanzarote offer one of the most cost effective ways of enjoying a break on the island. With many complexes offering an excellent range of facilities, such as manned receptions, bars, restaurants, large swimming pools, gardens and much more besides. Puerto del Carmen is home to the largest number of holiday apartment complexes in Lanzarote. Reflecting the fact that this type of accommodation was very popular when the resort was first developed back in the 1970s. Many have now been refurbished and upgraded - offering good quality apartment accommodation at reasonable rental rates. Browse our selection of apartments in Lanzarote by clicking on the resort of your choice above. And view some of our specially featured Lanzarote holiday apartments below. A very well presented front line bungalow on the popular Puerto Chico complex, with wonderful sea views from the terrace and garden. Puerto Chico 1 is laid out over two floors and has four bedrooms. This two bedroom apartment is located on the popular beach front compplex of Puerto Chico. El Molino de Guatiza is a small complex in the Playa Bastian area of Costa Teguise. Puerto Chico is a frontline holiday complex, close to the heart of Playa Blanca. Jardin del Sol is located close to the beautiful beach at Playa Flamingo and the centre of the resort. The Buena Pesca apartments are in a fantastic location, right next to the sea in the Old Town harbour area of Puerto del Carmen. Book a break on the beachfront Puerto Chico complex in Playa Blanca, which is just seconds away from the lovely beach of Playa Flamingo. Thank you for visiting holiday villas in Lanzarote, your No.1 choice for Lanzarote villas and luxury villa accommodation.